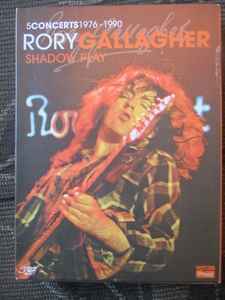 The enduring friendship between Rory and the good people of WDR's Rockpalast is finally all contained in one box. the Rockpalast stages (be they indoor or outdoor) always provided a great platform for Rory and his band to perform on, always delivering the goods. The ambience backstage at Rockpalast nights also brought out the camaraderie in the musicians appearing on the shows. This would inevitably lead to a unique 'jam session' and thankfully some of these have been captured for posterity.